Music Star Guitar Pick Codes! These are all the guitar pick codes that you can enter in Music City to get cool stuff for your tama! NOTE: The website for Tamagotchi Music Star is no longer up and running. However, these codes will remain here. Can't wait until you log-in all the Music Star characters? Wait no more! 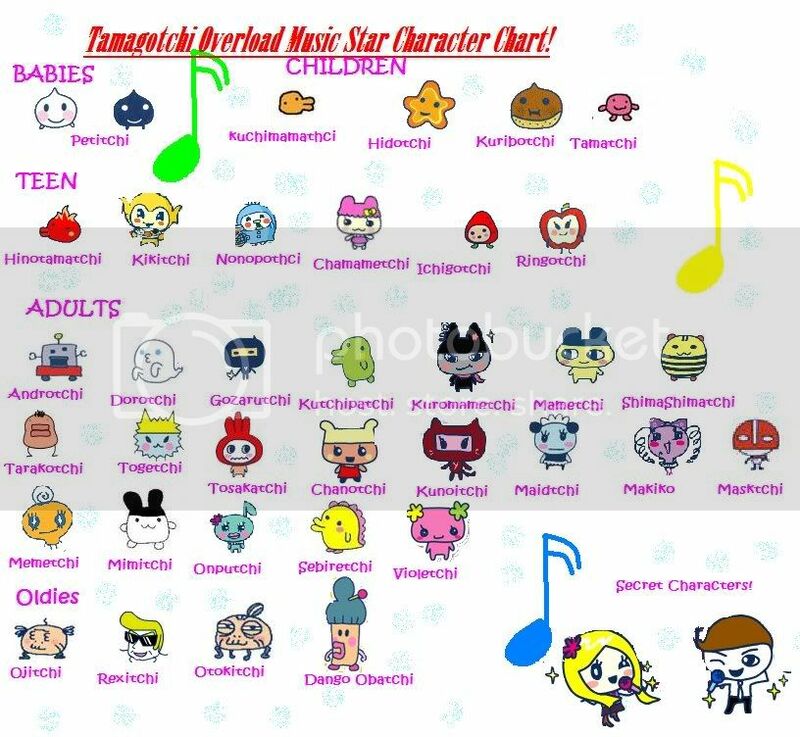 Here is a list of ALL Music Star characters! 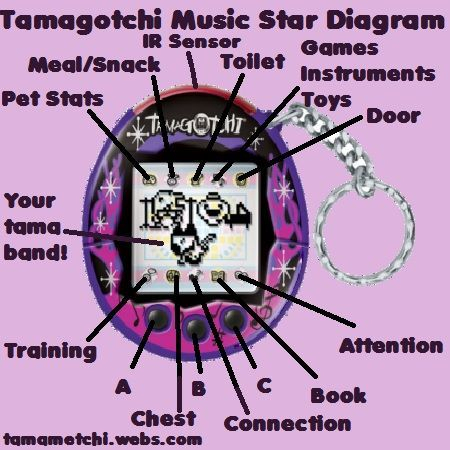 The Tamagotchi Music Star (v6) is a Tamagotchi toy that is focused around musical talent. Your tama has the ability to grow up to be in a famous successful band. The shell designs are also music-related.